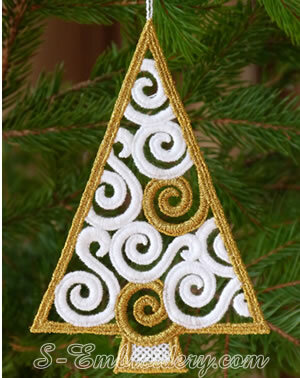 This freestanding lace Christmas tree embroidery design is available in 3 color versions - monocolor, gold/white and silver/white. 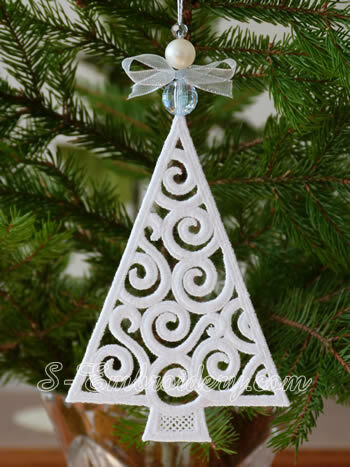 Each color version comes in 2 sizes - large and small. 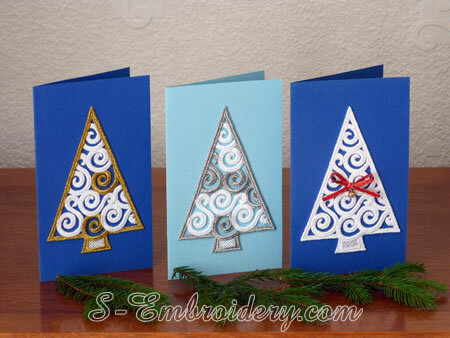 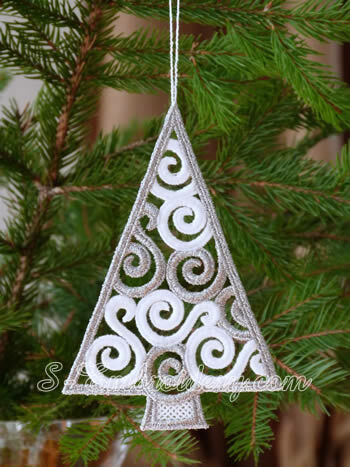 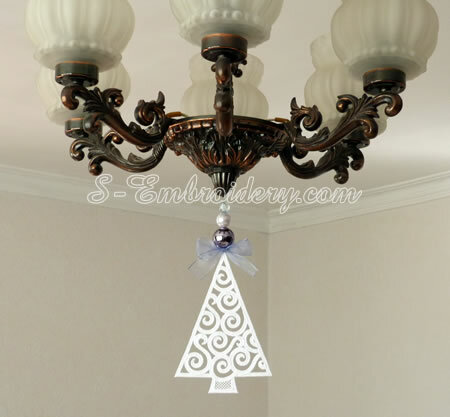 The small Christmas tree ornaments are offered both with and without a loop for hanging. 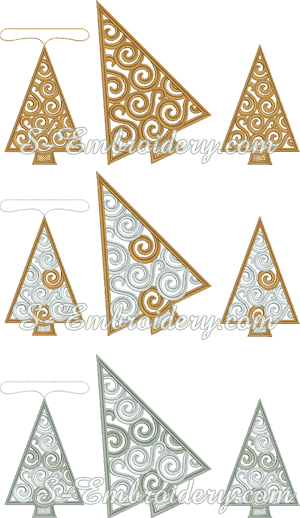 You receive 9 machine embroidery files in one of the supported formats and a PDF with design information and instructions.